"Curvy" Barbie dolls are coming to store shelves this spring. The iconic toy brand is introducing a new line of dolls that features three new body types: curvy, petite and tall, in addition to Barbie's original dimensions. 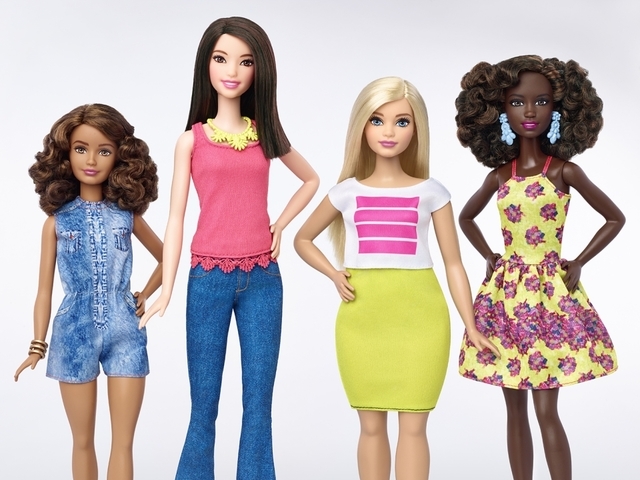 The new Barbie Fashionistas line will also include seven different skin tones. The announcement of the new line came Thursday from Barbie's parent company Mattel. "We believe we have a responsibility to girls and parents to reflect a broader view of beauty," said Evelyn Mazzocco, senior vice president of Barbie, in a statement. The new dolls are now available to order online and are expected to hit stores this spring.